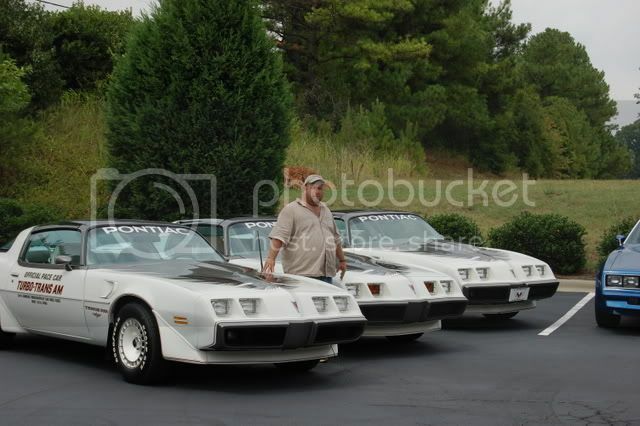 North Carolina trans am owners! whats up? just wondering how many people are here in NC, close to charlotte. i havent seen any old trans am around. like to see some! maybe meet up somewhere for a meet sometime. Re: North Carolina trans am owners! 79 there are a few of us here in the charlotte area just give me a shout! I have a '78 (not a TA, plain bird) that's tore apart and a pal of mine just got a '73 that's in decent shape, just needs some small stuff finished before it's moving again. Charlotte area. 400 4-speed, 3.42 posi, performer rpm, hedman headers, comp cam, 6x heads. Owned it since 1985, 2nd owner,, bought it with 23,000 miles on it. Original engine and trans in storage. Raleigh, NC here....gee whiz, does anyone even visit this place anymore ? Sadly there hasn't been much traffic in the NC chapters forum. I'm 1 hour east of raleigh myself. There are birds nearby, but not too many of them are road worthy. I'm still restoring mine. I did have a 77 SE that I restored, but I sold it about 6 years ago when we built our house. There are a good number in the clt area. My formula, and a second formula that i have heard of in the area. A black SE 77 or 78 survivor and a blue 79(Its for sale ATM or was as of 2 fridays ago) that i have seen at cruise ins in last month. Blue 80 T/A owned by a guy I met ay NPD one day. Day before yesterday I saw a Blue base model firebird 79-81 on the road near the speedway then it stopped at the Kwik mart but I didn't have time to stop and chat with the owner. Couple months ago I saw a mid resto t/a at the best buy parking lot. Lots of them around but only see one or two at each cruise in/show at a time. 3rd and 4th gens seem to be popular in the area also. I know where about 8 or 10 cars are that are not running in the area as well. Maybe 2 or 3 of those are in the process of restoring. I joined the TarHeel Tigers Pontiac Club in the Raleigh area about 4 years ago. There are less than 10 2nd Gens in the club and I know of a few more that are not in the club. Not that many for the population that is in this area. Should have my car back in about 8 weeks from restoration! It'd be great to see others. I saw your 78 on the TT webpage. Looks great. Mayan Red is an amazing color! I'm an hour north of Charlotte, 30 minutes from UNCG (where I go to school) and have a 2005 Millennium Yellow '79 TA that I'm currently working on just to drive and have fun with. Nothing fancy- low dollar, but it looks pretty good. Yell if youve seen me in or around the Thomasville, Lexington, Greensboro or Archdale areas. Hey folks. I'm in the Asheville area. My wife & I have a 77 SE Trans Am that we plan to restore in the next year or so. Just wanted to say hi. Hey there. Anyone ever heard of Taylorsville? Well... that's where I am with an 81 T/A with a 389. I'm about a half hour north of Hickory. In the process of fixing it up to sell. Really enjoying driving it. Just thought I would say hello to everyone. Winston-Salem area here....I cruise to Charlotte and around UNCC area every few weeks and also around UNCG (Greensboro) area when I have to go to the campus. I'm starting to think that there aren't many 2nd Gen T/As left in NC. I've only seen 4 on the road in the last three years. If you see a silver '79 T/A give me a honk in your area give me a honk. Yeah- they're getting scarcer and scarcer around here. My car I'd waiting on a motor build/install so I'm hoping to be up and on the road by Christmas at the latest. I am in Fayetteville. Sadly I haven't seen any other 2nd gen Firebirds here. My TA is a 15 year old partial restoration that I bought this summer. I am putting new tires and dual exhaust on her this week. I can't wait to hear and feel the difference. I read a post on TAC from Leigh about tire age and my tires were 14 years old! I am grateful I didn't have a blowout! It would be fun to get together with some or all of you! It seems like the majority of owners are in Raleigh. I live in Goldsboro, which is a hour north of you. I don't have a 2nd gen anymore, but both my son and I have 4th gens. Well it's good to know there are a few TA owners left in NC! I don't get to Winston-Salem or Goldsboro much. I don't think I have even ever been to Goldsboro. It would be fun to get together sometime! TA owners always have a lot to talk about! I have only had my '79 since last August but I'm glad that I finally got one since my dad wouldn't let me have his and restore it. His is a sterling silver with red leather '76 T/A 400 auto that he bought as his first car in high school. He put a little over 200thousand miles on it before the transmission started slipping and its been sitting since 2001. Never had any mechanical work done to it. Its been covered up ever since but needs to be painted, engine/transmission gone through. I had been after it ever since I got my license years ago and now that I'm 27 and realized he wasn't going to give it up I got my own. Whenever I drive mine I usually get a thumbs up or a fist pump out of a sunroof of a car passing by; even had some women jumping up and down like the "Go Bandit" girls in the first movie. ...it's cool to see the respect the cars are given from different generations. I am on the northern side of Winston-Salem near Kernersville. The stuff that people were doing occurred this year when I was in Raleigh on Capital Blvd/HWY 1, traveling to Charlotte on I-85 and around the city, in Winston-Salem and around Greensboro. I have a feeling it is going to be really crazy when I finally get to take it down the Myrtle Beach next summer with all-new paint/decals. For some reason unknown I always end up going during the time when there are Mustang rallies/shows. They do a lot of cruise-ins around this area (surrounding) during the spring and summer. My car just wasn't driveable at the time for me to go to any of them. There is a website that lists all of the information on those and car shows in NC, but I can't remember what it is. Sometimes there are reps from magazines at some of those events from what I've heard. I think the biggest one happens every year during the summer down in Charlotte at the Charlotte Motor Speedway Nascar track. Someone I know that went said reps from all the big restoration companies were there; You could buy/sell; plus more classic cars than you can digest in one day. 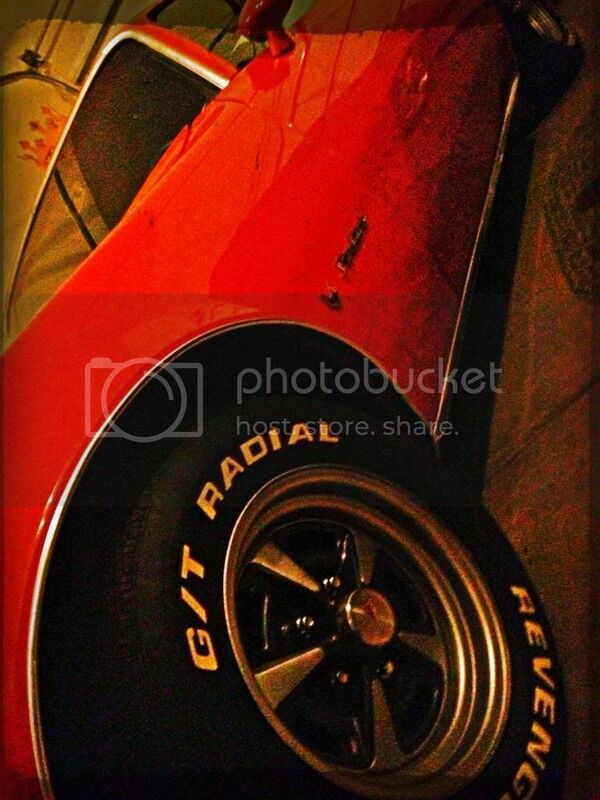 "I am 20 minutes south of Charlotte n SC, no trans am but I have a 1972 Firebird"
I love the early 70's body style and power compared to the later models. My 76 TA probably came with less power than your Firebird from the factory! 1979 Trans Am. 403 auto. but at least its numbers matching? Does anyone make the Cars and Coffee shows? Nice to meet you Eddie. I'm just minutes away from you in Walkertown. Nice to know there's more than my '79 and the four I have caught a glimpse of on rare occasion in Winston/Walkertown/Kernersville. I thought I had posted in this topic awhile back, but guess I didn't. I live near Randleman, NC, which is about 20 minutes south of Greensboro (fairly close to Richard Petty's home, and really close to the Victory Junction Gang Camp). I bought my '77 Y82 almost 5 years ago, and it's still in the restoration process. Body is good, engine runs, but needs new fuel and brake lines (which I have), and interior needs to be completely restored (I have all of the stuff for this too). What I don't have is the time to work on it very often. I go to the Cars & Coffee cruise-in in Greensboro on the 3rd Saturday of each month, the Hot Summer Nights cruise-in in Pilot Mtn. on the first Saturday of each month, and the weekly cruise-in on South Main street in High Point. I don't make it every week/month, but I enjoy going and looking at the cars and meeting the people. Looking forward to someday being able to take my car. If any of you are ever down this way, PM me and we'll get together for a cup of coffee or some sweet tea. Ok. I haven't gone to the Cars & Coffee cruise-in or the Pilot Mountain ones, but I just started going to the big cruise-in that is held in the JR's/Northern Tool parking lot right off of I-40 in Burlington every 4th Saturday... through October I believe. Cars usually pull in around 3:30-4pm. Last time the parking lot was full of just about every car you could think of (~200 cars it seemed). They have music and food truck(s). I was the only 2nd gen Trans Am. The only other Trans Am was a Knight Rider KITT car replica. I don't know if its listed on any cruise-in/car show websites or not though since I only heard about it from someone at a show I was in. If you don't mind the drive its worth going to. I know this is an old thread but its worth posting since the subject title of the thread is my target group...The cruise-in that I mentioned in a previous post a few months ago is about to start up again for Burlington, NC. I made a post in the "Shows & Events" section with all the information for this monthly event. People come from all over the state. I posting on behalf of the guy that's in charge of the event. He's wanting it to be larger than it already is. Current high on my count was somewhere around 200 cars/trucks/motorcycles, and at one point I stopped counting because of the amount that continued to come in. If you can't make it, spread the info. Its a March-October event. Its been posted on a couple of NC car show sites as well like carshowfinder.org and oldride. I was only 1 of 3 or just the only f-body T/A at this cruise-in majority of the time. I know more of us are out there. I hope all the NC members are doing well. I'm in Climax / Randleman area too. I live about 10 minutes from Richard Petty. Am in Rock Hill, SC, which is just a stones throw from Charlotte. Last post to this thread was nearly 3 years ago...? Well, in any event... Just moved to North Carolina from New Mexico in Dec last year. Living in the Fayetteville area...Spring Lake to be more specific. Would like to make contact with others in my area, if possible.